Hydrogen Sulfide Test Kit: Can It Work With Aquarium Water? 'Tina' recently asked, "Can I use the hydrogen sulfide test kit you sell on aquarium water? What about saltwater aquariums?" Thank you, Tina, for your question about the Hydrogen Sulfide Low-Range Test Kit (481197-20) and its testing capabilities for aquarium water. The test CAN get used for aquarium water, yes, but only freshwater samples. This week we'd like to put the spotlight on the WaterWorks Low-Range Hydrogen Sulfide Test Kit from Industrial Test Systems, Inc. This product makes quantifying (rotten egg) odor causing hydrogen sulfide gas a quick and easy process without the need for complicated testing procedures. The Low Range H2S Test Kit detects concentrations of H2S from 0 to 2ppm (mg/L) with its first increment down at 0.3ppm (mg/L). Other H2S tests use a 'fizzing agent' to liberate hydrogen sulfide gas from water samples and then detect the gas, but this test does not. Instead, this product uses a test procedure that changes the color of the sample in direct proportion to the concentration of dissolved H2S in the aqueous sample. The color of the sample then gets compared to a visual color chart designed specifically for this water quality test. Got a rotten egg or sulfur smell in your water? If so, then you more than likely have dissolved hydrogen sulfide gas in your water... and you also probably want to get that smell OUT of your water as soon as possible. 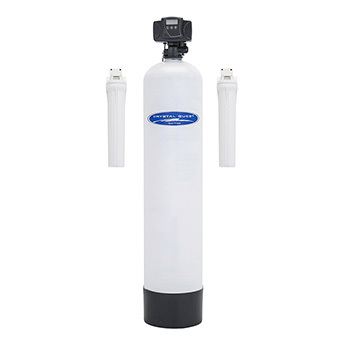 Before investing in a system to remove dissolved hydrogen sulfide gas you must first determine the concentration of the gas in your water so you can select the correct water treatment system. 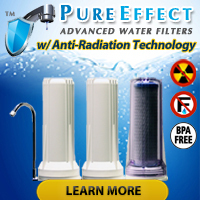 Otherwise you run the risk of purchasing too little remediation for the job or wasting money on a system that has far more hydrogen sulfide gas removal capabilities than your water quality situation requires. Learn more about dissolved hydrogen sulfide gas in water, how to test for it, and how to remove it in the Hydrogen Sulfide Archives section of the Water Testing Blog! Hi..I work in an office building in brooklyn (11211) and the water in the bathroom sink smells really bad. If you wash your hands…which we all do…your hands smell too. I have talked to the landlord many times about this and they have not done anything My staff has complained about the same thing. The land next door used to be a chemical plant and nothing was allowed to be built for years..Could something be seeping in the water somehow. I would like to have the water tested. I am not sure what to test for exactly so hoping you can advise. How much $ will I have to spend to get the water tested and if it is found to be contaminated somehow…then what do I do? 1) What type of smell or odor do you detect emanating from the water? Does the unpleasant odor resemble the stench of rotten eggs (i.e. does it smell like sulfur)? 2) Does the odor come from both hot and cold water or just from one or the other? We ask those questions because problems with hot water heaters often serve as the source of odor(s) in many homes and offices. If the smell you get from the water does not meet the profile above, and actually even it does meet the above profile, we highly suggest getting the water tested by a certified water testing laboratory like National Testing Laboratories or a local laboratory recommended by your local health department. Given the history of the property (next door) we suggest going w/ the most comprehensive test you can afford. Why? Quite simply because many of the ‘more interesting’ contaminants resulting from industrial activities may not get detected by commonly offered water testing packages. History… Not just for students anymore! See what you can learn about what REALLY went on next door before the company closed up shop. What sorts of chemicals did they produce? Why did they shut down? Why did the city (or other agency) put a ban on building there after the company shut down? While we believe it unlikely that the ‘issues’ left behind by that company have much to do with your current water woes since your water comes from the city, we would not rule it out entirely. Do your homework, find a certified lab that can test for the sorts of nasty things that company may have left behind, make sure the results of their findings can get admitted as evidence in a legal proceedings, have the results examined by a qualified water specialist, and then determine what needs to happen next — be it legal action on the part of your landlord against the company or the city or the landlord simply installing the correct filter to remove the contaminants that make the water smell so awful. Most days we entertain questions from folks who want to make sure industrial facilities have not somehow contaminated or otherwise altered the quality of their water. 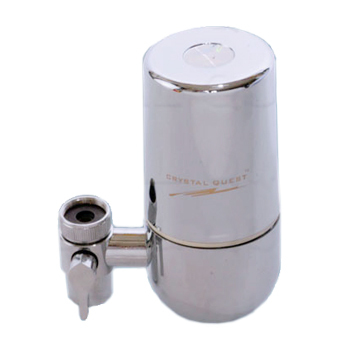 Today’s question, however, deals with testing water before it gets used in a manufacturing operation. We are a detergent manufacturing company here in Malta and we need to make regular checks on water that is used in the manufacturing process especially for nitrates, bacterias, sulfide and others. What you can suggest me ? Our Water Test Kit Store currently carries a product it calls ‘Water Quality Test Kit‘ which contains tests for all of the items you mentioned. 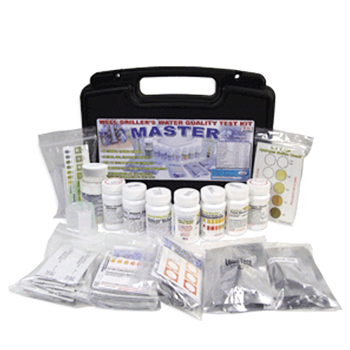 Another kit made by the same company called the Well Driller Test Kit includes tests for all of the tests you asked about and will make it possible for you to test quite a few water samples — up to 50 samples in some cases. Now if you’d rather use a meter to perform testing, naturally we suggest the eXact Micro 7+ Meter which, according to the latest information we’ve read, can test for Ammonia, Bromine, Chloride/Salt, Chlorine Dioxide, Chromium (Hexavalent), Copper, Cyanuric Acid, Fluoride, Iodine, Iron, Low Range Total Hardness, Manganese, Nitrate, Nitrite, Ozone, Acid pH, Alkali pH, Potassium, Sulfate, Sulfide, and Turbidity. Granted the meter cannot test for bacteria, but you can always pick up tests for bacteria separately. 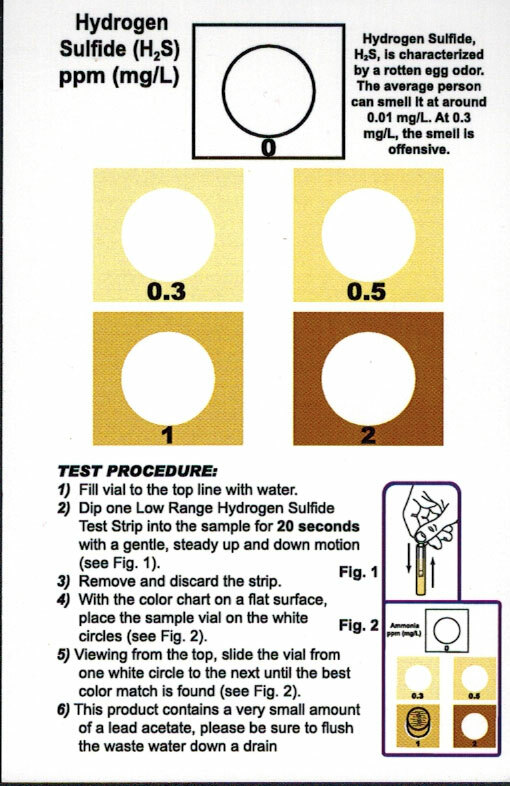 Speaking of separately, simple dip-n-read test strips exist for the purpose of testing each of the tests you asked about — with the exception, of course, of bacteria which uses a presence/absence ‘mug’ test procedure if you wish to test down to drinking water standards: Bacteria, Sulfides (as hydrogen sulfides) and Nitrates. 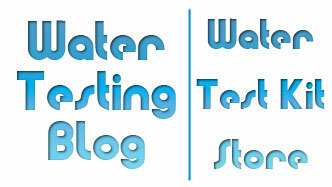 Hopefully one or more of the options above will suit your water testing needs. 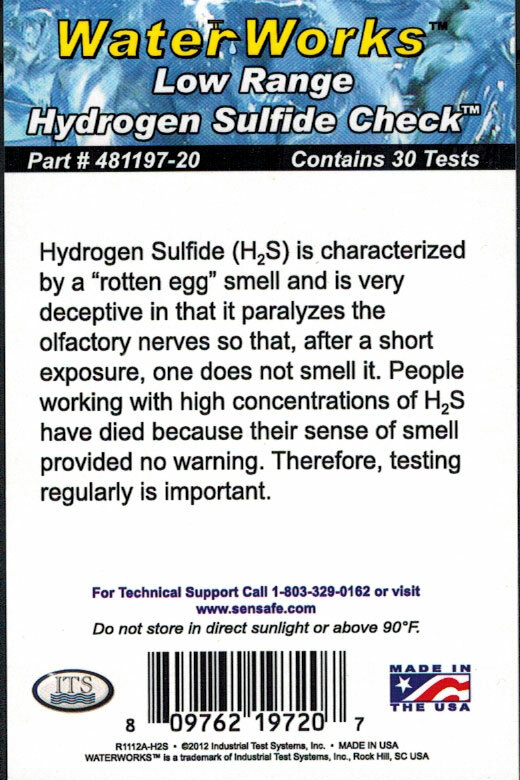 When recently discussing hydrogen sulfide in water, commonly referred to as ‘that nasty rotten egg smell’, we mentioned that in some cases sulfates served as the source for of the gas — usually through some sort of chemical reduction or breakdown of the sulfates. While it may not sound like something that occurs naturally in drinking water, it most certainly does. Many different reasons exist for why or how sulfate gets into water supplies and the United States Environmental Protection Agency has set the secondary maximum contaminant level (SMCL) for sulfate in drinking water at 250 milligrams per liter (mg/L or ppm). For those who do not know, the SMCL’s pertain to aesthetic qualities and characteristics of water such as taste and odor, not matters pertaining to health issues. The Federal Government does not enforce SMCL’s but it does provide them as suggested guidelines which it does encourage public water systems to follow. You can view the EPA’s Secondary Drinking Water Standards on this web site here. In recent times, however, some health officials have taken a keen interest in sulfate contamination because of growing suspicions that if ingested in high quantities it can cause diarrhea. Apparently some segments of the world’s population experience bouts of diarrhea when they suddenly start ingesting water that has high sulfate concentrations after residing in areas with much lower sulfate in water concentrations. How many water systems exceed the EPA’s SMCL for sulfate in drinking water? In an article on the EPA’s EPA’s website, experts estimated that roughly 3% of the public drinking water systems in the United States may have sulfate levels at or above 250 mg/L. Can the general public test for sulfates in drinking water? As a matter of fact, yes they can. SenSafe manufactures an easy-to-use, fast and reliable test strip that works quite well for field testing of well water, ground water and surface water. 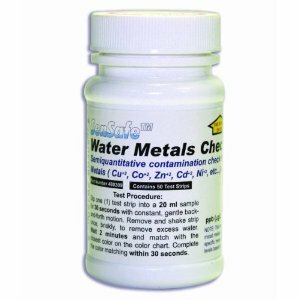 You can find SenSafe’s Sulfate Check product in both the COMPLETE Water Quality Test Kit and the Water Quality Test Kit in our Water Test Kit Store. Prefer to use a meter for your testing needs? The eXact Micro 7+ Water Testing Meter has the ability to perform that test when used with the correct reagentstrip.